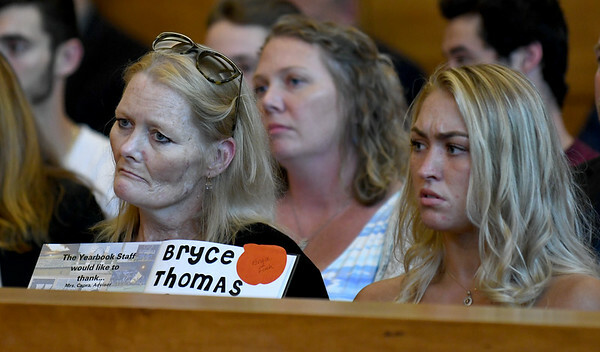 JIM VAIKNORAS/Staff photo Meagan Finn of Haverhill holds up her son Bryce's high school yearbook at the arraignment of Nicholas Mandato at Haverhill District Court in Newburyport Thursday. Madato is accused of killing the Haverhill teen. Bryce's girlfriend Grace Murphy is next to Meagan.